A new video by National Geographic features NYU CUSP Professor Debra Laefer’s research on the world’s densest urban aerial LiDAR data set. Satellite images let us see Earth from above. But a technology closer to Earth can give us a much more detailed look. Aerial “light detection and ranging,” also known as lidar (rhymes with eye-dar), works by sending laser pulses from a plane, helicopter, or drone. The device then receives information back about the surfaces below. In the past, the highest resolution for lidar was about 40 points per square yard. But a team of researchers at New York University has increased the resolution to 280 points per square yard, resulting in a view from above—especially in urban areas—that’s far more detailed than ever before and true to cracks, curbs, and building facades. What’s wrong with traditional images from space or miniature scale models? 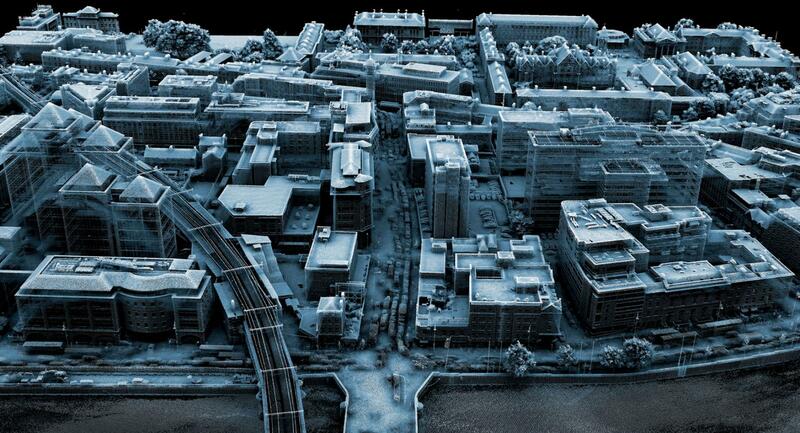 Lidar produces not just an image but a high-resolution geometric representation of a city in motion. Slight slopes in pavement reveal how floodwater will move, and pockets of particulates can identify air pollution.